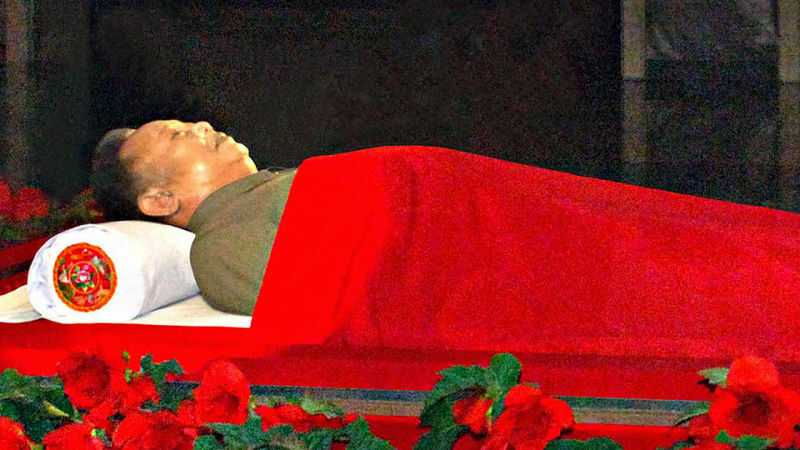 It is written in the official Communist Dictator Handbook that when a leader dies he must be laid out like a meat-and-cold-cuts tray at a regional sales conference. 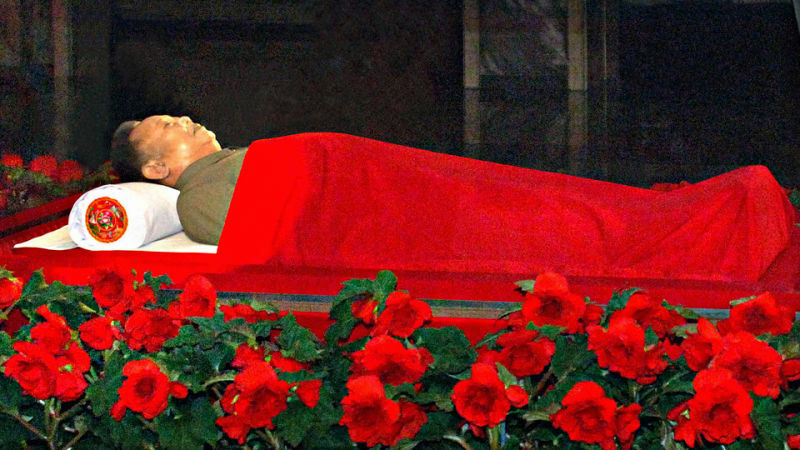 Today mourners paid respects to Kim Jong il's dead body. 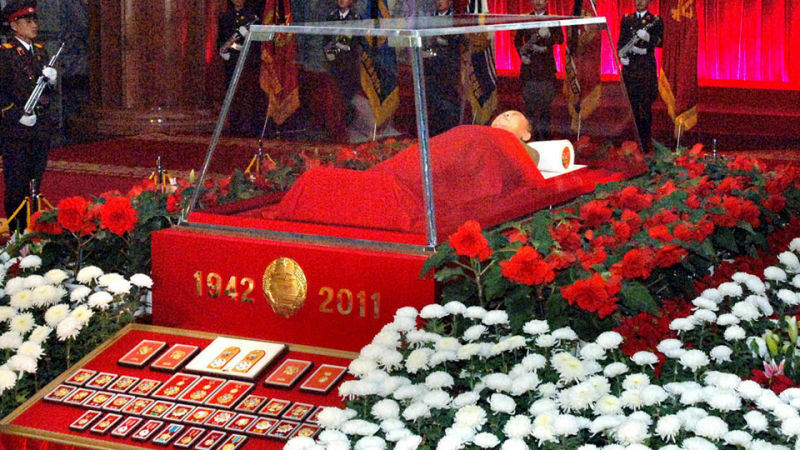 Here are some photos from North Korean state news, and video from North Korean state TV of Kim Jong-il lying in state. 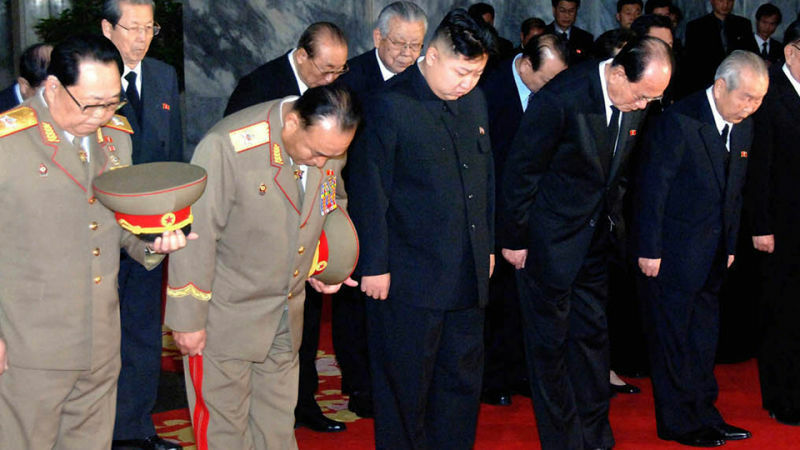 Mini menace Kim Jong-un paid his respects along with streams of soldiers and common people. 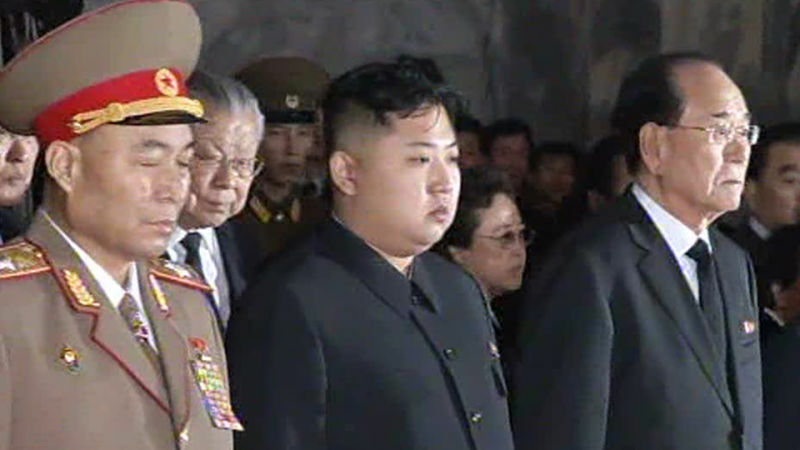 The funeral's in 8 days, so back into the meat locker for Kim.